This Caprese Pasta Salad Recipe incorporates all the sweet and peppery garden basil! 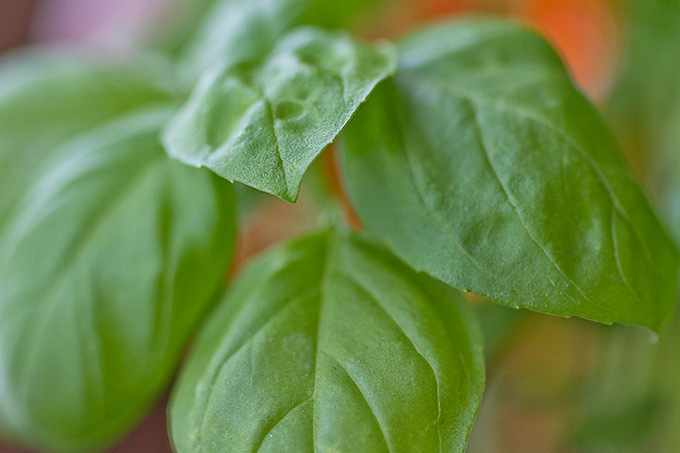 Fresh basil pesto combines with pasta, sun-ripened garden tomatoes and fresh mozzarella. This is your new favorite summery pasta salad. Make a big bowlful, because this one goes fast. It’s been an interesting and delicious summer around here. And I’ve got a few basil stories for you. Yep. So last summer my basil was absolutely incredible. Lush and green, thick and fragrant. I called it bionic basil, and everyone who saw it marveled. I had more basil than I knew what to do with and plenty to share. 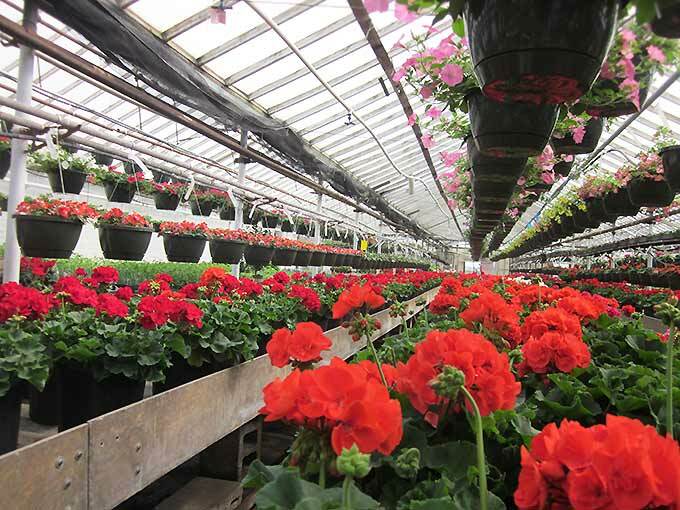 I buy the plants each year on Memorial Day weekend at Tanglewood Nursery, just one town over. The nursery is run by an elderly Polish couple and their son Tom. Meander down a long, wooded winding drive in the country and you’ll come upon their modest ranch home, with three large and orderly greenhouses set behind it. All in a row. I enjoy buying my seedlings at Tanglewood because it’s a small family-owned business and I like buying local. And Tom does most of the growing. He treats the plants like his own children. That’s what his dad says anyway. And I believe him. All the herbs, veggies and flowers are always in top condition. Never root-bound or yellowed leaves. Tom is knowledgeable, always willing to help. I’d been going to Tanglewood for years, and it wasn’t ’til last year I learned that he’s completely deaf. But he’s a lip reader, and obviously a good one! Truly an amazing can-do kind of person, aside from his green thumb. So this year my basil wasn’t as prolific as usual and I lost a few plants. I’m still not sure why. (But I can promise the fault lies with me, not Tom.) My herbs are all in pots by my side door as usual. But while watering the geraniums on my front door step, I noticed basil sprouting from the pot. Somehow it seeded itself in my flower pots on the opposite side of the house! It turned out to be the best basil of the season – produced big, fragrant and peppery leaves alongside the bright red geraniums. 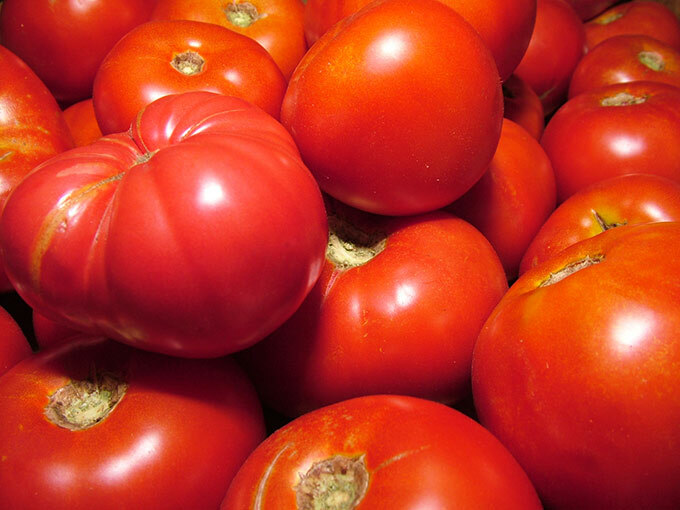 Perfect for all our fresh summer pizzas, salads, and pestos. This summer I discovered how resilient basil can be. I snipped a big bunch to take with us on vacation to the Cape. Put it in water in a big glass mason jar. I was going to use some in recipes and also gift some to my aunt, who we’d see on vacation. We left for the Cape on a warm Sunday morning, packed the car early, stopping in for church on our way down. The day heated up and the basil sat in a fairly warm car. It was pretty wilted when we got back to the car a few hours later. We all thought it was done for, but then the air kicked in and it started perking up. A few hours later when we got to the Cape, it looked nearly perfect again. That bionic basil. During the week we visited my aunt and uncle in Mashpee and I forgot to bring some along. So by week’s end, we still had plenty in the jar. We checked out of the cottage rental mid-morning on a Saturday, then spent the entire day at Megansett Beach in Falmouth. It was a scorcher, and the basil sat in the front seat console, baking in the sun. By the time we left the beach around 5ish to head home, the basil was completely wilted. Dead. Or so we thought. Because slowly over the several hour ride home to New Hampshire it rallied. And by the next morning? A few dead leaves, but otherwise, completely fine. Crazy. Several days later it actually started rooting. And now, weeks later, it’s still going strong on my kitchen counter. I tell you, my bionic basil has nine lives! This Caprese Pasta Salad Recipe is so easy to assemble. Use store bought pesto, or while your pasta cooks, make a fresh basil pesto in the food processor. Combine pesto, pasta, garden tomatoes and fresh mozzarella. Stir to combine. This makes a beautiful and delicious summery pasta salad for all the picnics and barbecues! 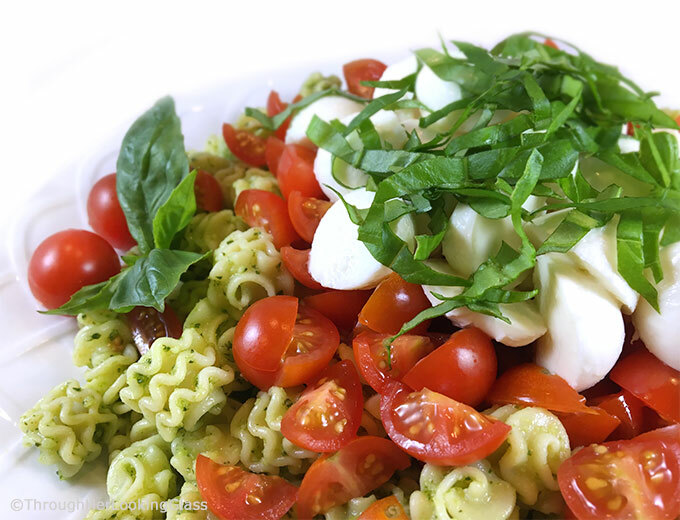 Fresh basil pesto combines with pasta, sun-ripened garden tomatoes and fresh mozzarella. 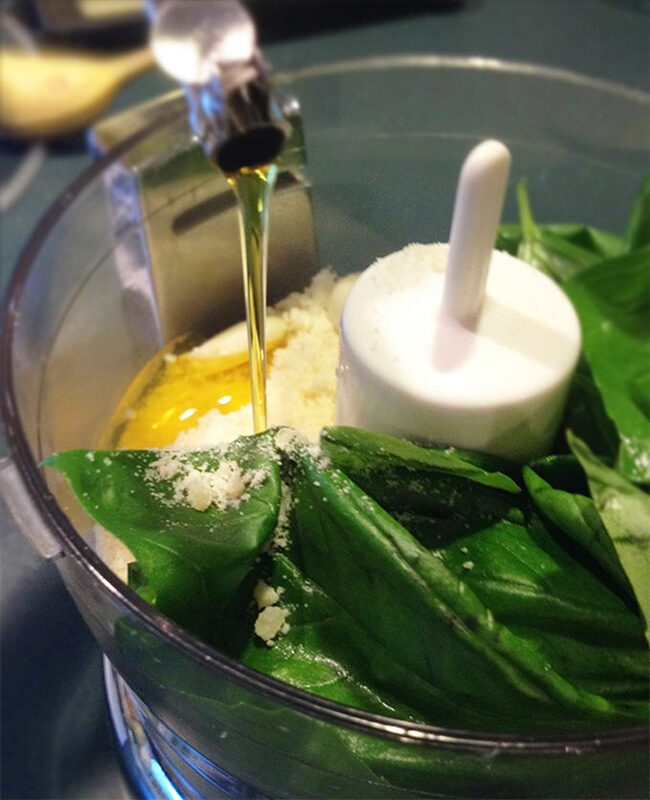 If making fresh pesto, add 1 1/2 cups basil leaves, grated parmesan cheese and garlic cloves to food processor. Process with just enough olive oil to make a thick pesto. Set aside. 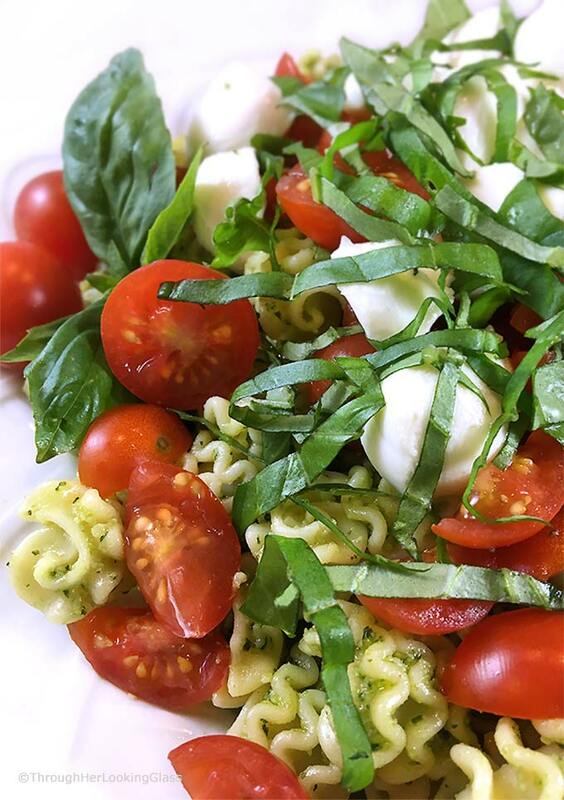 Combine chopped tomatoes, fresh mozzarella, pesto, chopped basil and pasta in a large serving bowl. Allow to sit for a few minutes for flavors to meld before serving. I loved using the radiatore pasta because the pesto stuck in all the crevices! Mmmm. A smaller pasta seems to work best for this salad. Allie, This is incredible. And I am totally jealous of your basil--I can't grow it to save my life. I use to have lush plants but since moving south, I have the blackest of black thumbs! Salad looks sooo good! And what,amazing basil! Yum! This looks so delish! Just put the ingredients on my grocery list. Thanks, Allie! Yum! I have more basil than I know what to do with, and this sounds delicious. I don't think I have bionic basil, though, hee-hee. I was thinking your story might have led to a certain farmer in your house who decided to transplant some of your sprouts. ;) Oh, and by the way, I've had pierogi before. A friend's cousin who moved here from NJ had a catering business nearby and made them. They are delicious! 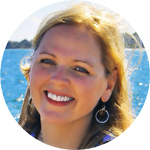 Oh Susie - that is so funny. I never thought about THAT -- that certain farmer at my house. Yes, that is a distinct possibility! I will have to investigate. What a perfect summer salad! 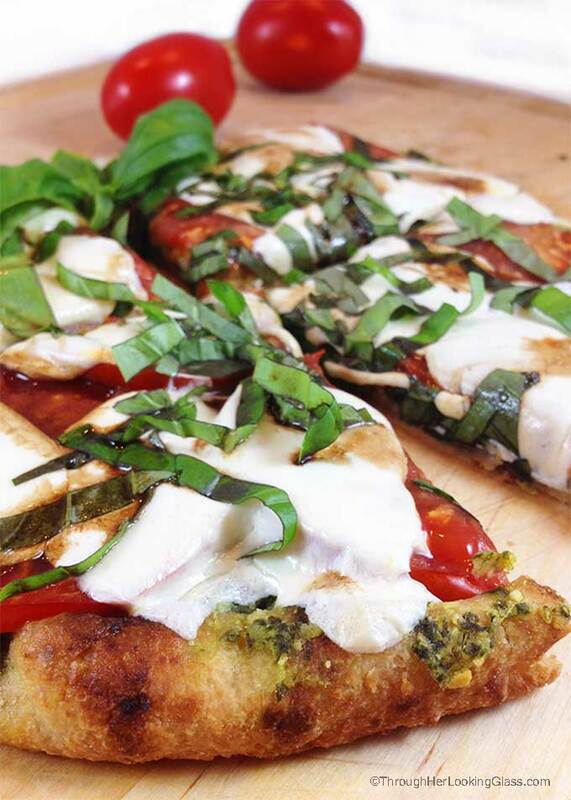 Love the caprese combo! I love a good caprese salad! Love it mixed with pasta too! Don't you just love basil? I have been going to Tanglewood for years too. Love that place. I have never bought my basil there. I will have to buy it there next year for sure. Wow! Amazing!! I wonder why the pots in the front didn't do well... I'm glad you ended up with a nice plant in the back at least. That salad looks fabulous. I love pesto and pasta! Can't wait to try it out. Yummy! !